We are based in Porto Mantovano – Mantova, in the North part of Italy, between Milan and Venice. How much do you really know about Italy? In New Testament times Rome was the capital of the day and a vibrant Christian witness developed. During the early persecutions radical discipleship meant many believers gave their lives for the Gospel. Soon, however, Christianity became institutionalized and was to a large extent suffocated by tradition and superstition. Scripture was no longer the authority. There was need for Reformation. Today, the situation is much the same. Christianity (as opposed to other religions) is statistically abundant with more than 80% of Italians still defining themselves as such. But go into any one of the Roman Catholic churches today and you will still find candles, relics, processions, indulgences, tradition and pilgrimages. Little space is given for the Bible and only then under the domineering magisterium of mother church with no salvation in Christ alone, through faith alone, by grace alone. No national spiritual reformation has ever spread through the country. The Protestant Reformation stopped at the Alps. Bible-believing, Gospel-living Christians account for far less than 1% of the population. Extreme prosperity-theology continues to spread and cause much confusion and harm. 70% of Italian townships still have no Evangelical witness of any kind. Rarer still are vibrant, gospel communities. Islam is the second religion and increasingly militant. The non-religious are, according to some counts, up to a fifth of the population. Catholicism is struggling. Of the 80% or more of Italians who would still identify themselves as Catholics, maybe only 5% of those could be defined as practicing. Do-it-yourself, personalized belief remains the most popular solution for many. From a population of over 60 million people there is less then 1% of people who would call themselves believers. The spiritual situation of the Evangelical church in general is very low and often fragmented. Italy has been referred to by Operation Mobilisation as the ‘graveyard of missionaries’. Many good workers come from abroad but the vast majority leave the mission field after the 3rd year due to depression, lack of results, difficulties with the Italian culture, bureaucracy and corruption. 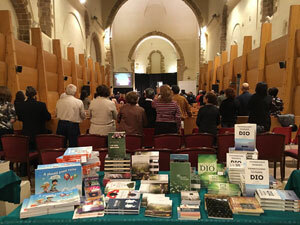 Download our brochureCoram Deo is a non-profit organization founded in 2008 and linked to Italian and international churches and pastors of different nationalities. Coram Deo is also connected to the Ministry of HeartCry Missionary Society and is associated with F.I.R.E. Fellowship in the United States. Organizing and running National conferences alongside courses for pastoral and theological training. A light in the darkness – Sola Grazia (Grace Alone) church. Mantova is a beautiful and an historical town with about 250,000 people but with very few believers. Our church is a church planting effort initiated in 2007 by 2 families. We started in a home, worshiping, praying and preaching the Word of God knowing that this town needs the gospel and specially a biblical ministry for believers. The Sola Grazia Church is linked with the FIRE FELLOWSHIP (Fellowship of Independent Reformed Evangelicals in USA) and we have the support and deep fellowship from a wide variety of churches, pastors and brothers from different denominations as well. We love good, sound teaching because we love to see believers growing in love and grace. In our conference ministry we have host pastors from USA and UK who have come to teach us the Word. 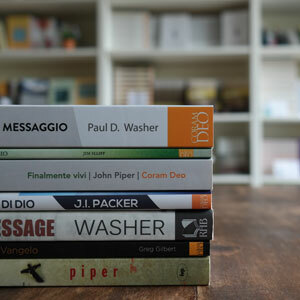 Books for individual believers, pastors, churches and students are plentiful in the UK and the USA because of the number of English speaking believers and publishing houses. Here in Italy the situation is desperate as there are only a handful of publishing houses and very few good books in Italian. Coram Deo are trying to redress this situation by translating and then publishing by permission as many good, sound theological books as we can. This is a slow and labour-some work but one in which we truly believe in. We will be selling our books directly through this website to many in Europe for whom Italian is their mother tongue or preferred language but also hopefully ebook versions online through the likes of Amazon. Porto United is our exciting outreach sports ministry. Through the very popular sport of Football – UK / Soccer – USA we are reaching into our community with the good news of Jesus Christ. This sports ministry started in 2013 and has been a wonderful way to connect with kids and parents who live in the area our church is based in. It is a club that runs twice a week and trains and coaches young boys from 5 years old in soccer skills and match practice. We always take a break at some point in each session to share with the boys some Bible truth. We have been well received by the community, even the local Roman Catholic church allows us to use their pitches! Some parents have been cautious and slightly hostile concerning what we are teaching but Andrea has been able to use such occasions to share with them who we are and what we believe. In 2016 the local council planned a large multi-day sports event within their district and asked Porto United to organise and run the 5-a-side soccer competition because they are aware of the good we do in the area. No man, not even the most spiritual, no apostle, no church father, no reformer, no preacher, not even the greatest and most powerful has ever has a passion for the church as Jesus Christ had and which He still possesses. The nature of this passion which cannot be imitated grows out of the fact that none of these esteemed men went to the cross for the church. Only Christ went to the cross, to pay our debt. He alone went to the cross “for His people.” It is evident that His passion for the church is without comparison. If none of those who preceded us in the building of the Church could have the same passion of Jesus Christ, it is evident that for however motivated we might be, no one today could have the same passion of our Lord Jesus Christ. Moreover, those who have preceded us followed the example of Christ, of the apostles and therefore have manifested a great zeal, a great commitment, a grand passion for the church. Therefore we seek to explain what we mean when we talk about a new church in Mantova. To begin with, we are a group of people passionate for Christ, for His work and for His glory. For this reason we feel the urgent call of God and we desire with all of our heart to see a church born in the city of Mantova that by His power, by His grace and the work of the Holy Spirit reflects as much as possible the indications given in the New Testament regarding leadership, the preaching of the Word of God, the members of the church, discipleship, the formation of the believers and evangelism. We believe that the Scriptures are the starting point on which to build every type of structure: family, social, political, and obviously the Church. Therefore, we want to begin a new church that is centered only on the Scriptures. The Scriptures are understood through the Scriptures. He is and always will be The Foundation of the Church (Peter responded: YOU are the Christ the son of the Living God. Jesus responded “….On this rock I will build my church.”), The Builder of the Church (I will build), The Owner of the Church (my church), The Defender of the Church (…and the gates of Hades will not overcome it). Our desire is that Christ be our Foundation and our Goal. Grace is stronger than sin. Where grace enters, the control and power of sin is put into submission. The good news that we want to bring to the people is based on this principle: God gives grace and immediately frees from the slavery to sin and progressively from the power of sin. But grace is also the motivating power for service of anyone within the church. We are that which we are and we serve the church and in the church only and always by grace. Another essential pillar in our announcement of the gospel is man’s absolute impossibility to be naturally receptive to any spiritual stimulation. Man can not and does not want to come to God. For this reason man is in need for God to reach him with His grace, giving to him the necessary faith to believe. This message is the commitment that we intend to take before God. In fact, we desire to announce honestly to unbelievers that because everything was taken care of by Christ on the cross, they can not do anything to be made acceptable to God outside of the repenting of their sin. This pillar reminds us of our insufficiency before God. All that we are and do must bring honor and glory to God. Beginning this new church, we are persuaded that all those that He will call to salvation, all the conquests, all the activities that will have good results, the growth of the church, are the evidence of the Glory of God. Protect and feed the flock that God will entrust to us, taking care of and committing ourselves to satisfy their needs toward the goal of their spiritual well-being. We want to care for and disciple the believers, being for them an example so that they will mature and recognize their gives and their functions to put to use in the church for the glory of God. We also want to be sensitive to their material needs, encouraging a brotherly fellowship that makes the believers always feel loved and materially supported according to their needs (Acts 20:28 / 1 Peter 5:1-4 / 1 Corinthians 13 / 2 Corinthians 9). Pursue the truth of the Scripture to the point of applying it for the good of every single believer, authority, and discipline. We want to exhort ourselves and every believer to live in a walk of holiness in the truth (1 Corinthians 13:6 / 2 Corinthians 4:2 / Galatians 2:14 / Ephesians 4:15). Proclaim the gospel in our city to reach all those that God puts in front of us. We want to do this with every method that favors a clear announcement of the gospel. We want to encourage the church to have a missionary vision, enlarging our horizons to undertake, according to the possibilities and the gifts that God gives to us, of the worldwide mission. (1 Corinthians 9:15-23 / Mark 16:15 / Acts 1:8). Our dream is to see a church that grows in unity, in love, in the truth and in service. We want to see missionaries, preachers, evangelists, and men of God come out of this new church. We want to see our church have a powerful and evident impact on society. We desire to work to begin evangelical pre-schools, elementary schools, middle schools and high schools that in our city and in all of Italy do not exist. We want to be able to see Theological Schools founded where young people can prepare themselves for ministry both in Italy and abroad. We want to encourage the church to send missionaries, as we have seen many come to Italy from America, England, Ireland, Switzerland and Germany. We pray that our Good Heavenly Father will make us holy, capable and prepared to contribute to the change that we want to see in our city and in Italy. In conclusion, we want with all of our heart, to give an example of a dynamic and active church that other churches can use as a model for their own assemblies. 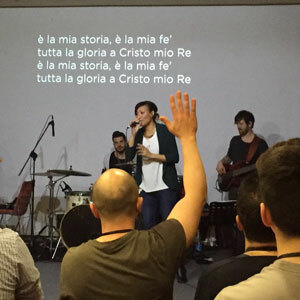 With eyes of faith, we see a church with hundreds of humble and simple people that are multiplying and are loving God with true hears, that are worshiping, growing, consecrating, evangelizing and who are making disciples of Christ in the city of Mantova and in all of Italy. We see an evangelical center where the families of believers can participate in conferences and where they can send their children to evangelical camps during holidays and summer vacations. We see a school of theological formation carried out in the Italian language where pastors, preachers, evangelists and missionaries are formed in light of the ministry that God will entrust to them. 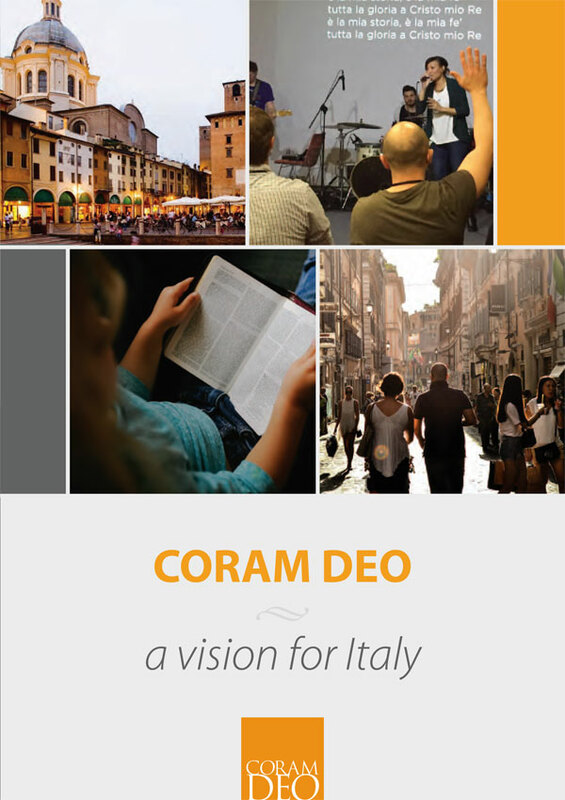 We see a publishing house CORAM DEO publishing optimal texts in the Italian language for the edification of the church and the proliferation of the gospel. We see young people and even families becoming increasingly curious about the person of Jesus Christ and desiring to have a personal relationship with Him. In conclusion, we see that this new church could be a vehicle of blessing for the churches in the surrounding area. It could exercise a blessed influence of reciprocal respect and humility, through healthy brotherly relationships founded on the truth. We see that we could be a positive contagious influence on all the churches with which we enter into contact and that they would ask us for help. It could be a point of reference, of example and a practical model for churches from other denominations that recognize the valid and positive biblical principles that are at the foundation of our vision. You may want to pray for us now and maybe you want to support our ministry. How?